Hope you will join me for a couple of fun events supporting animals! I hope you will join me at two upcoming super fun events! Friends of BARC's annual party "Mutts, Meows, & Margaritas" is coming up Saturday, September 19th. The event starts at 6:30pm at Nouveau Antique Art Bar, 2913 Main Street, Houston, 77002. It's a great time with food from El Tiempo, a silent & live auction, a raffle (the prizes are amazing, including an LG 55" Smart TV, an Apple watch & a PetsMart gift card). Tickets are $40 in advance & $50 at the door. 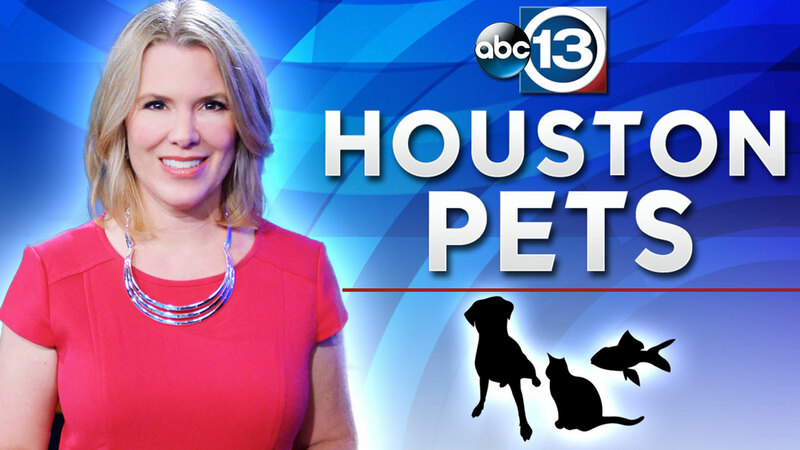 All the proceeds go to Friends of BARC and their efforts to help homeless animals in Houston. Bring the entire family (including your pups) on Sunday, September 20th to "Fun in the Sun." The event is from 2-5pm at Theme Design Studios, 8712 Beverly Hill St. Houston, 77063. 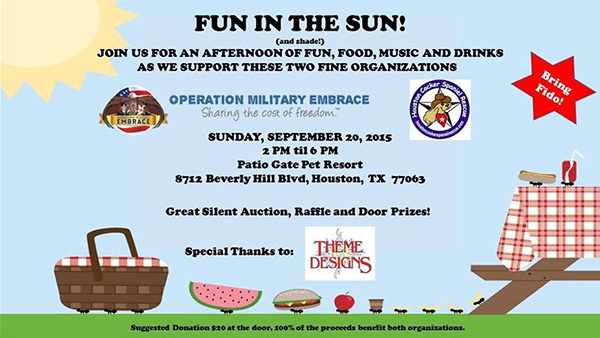 There will be food, fun, and festive beverages in support of Operation Military Embrace and Houston Cocker Spaniel Rescue. There's a $20 suggested donation at the door, with 100% of the proceeds going to the two charities.